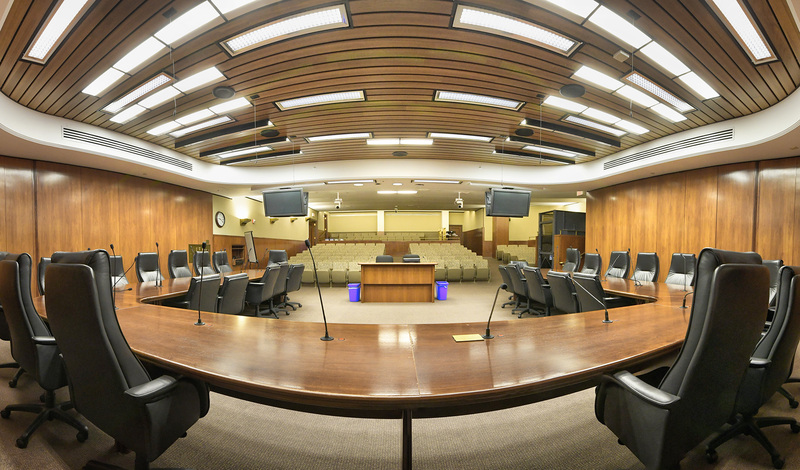 After more than four years of budget surpluses, the state’s latest economic forecast projects that Minnesota is facing a budget deficit of $188 million for the current two-year biennium — a shortfall that would grow to $586 million for the 2020-21 budget cycle. 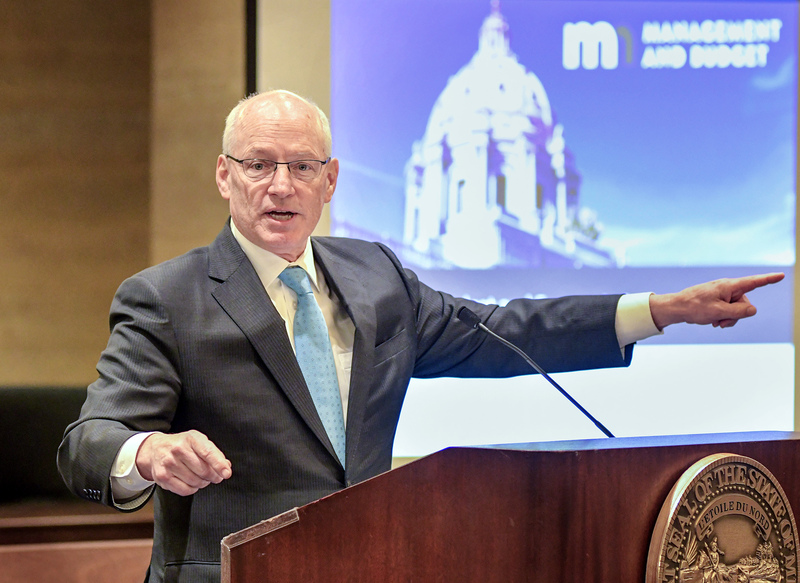 Minnesota Management and Budget released its 2017 November Budget and Economic Forecast Tuesday, one of two annual reports on the state’s fiscal health the agency produces that help set the stage for lawmakers’ planning ahead of the next legislative session. MMB attributes the projected deficit to slowing economic growth and the impacts of the state tax law and other legislation enacted during the 2017 session. Uncertainty over the future of federal tax legislation and the current continued economic expansion “create significant risk for this forecast” the agency said in a news release. Despite the red ink, Frans, Gov. 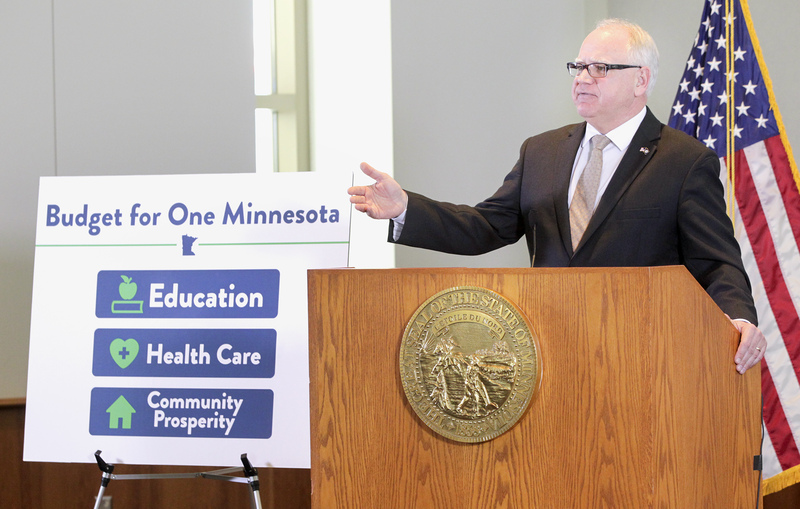 Mark Dayton and legislative leaders urged caution, saying the state’s economy remains in good shape. 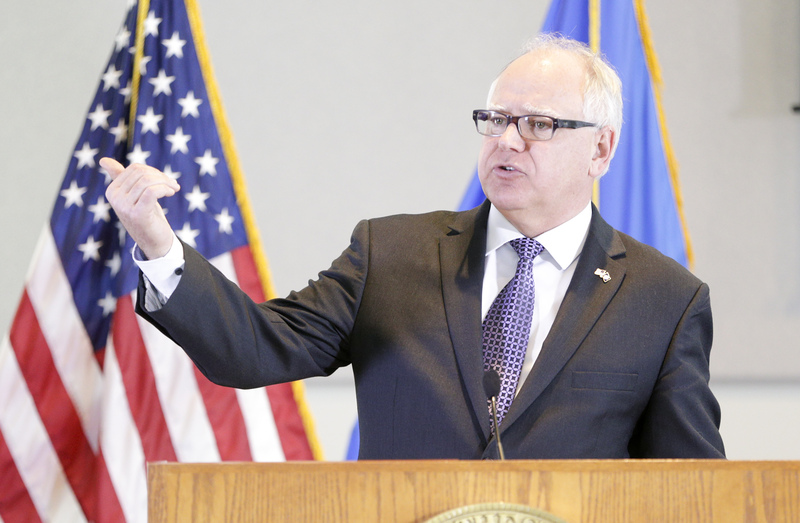 The forthcoming February forecast will give a clearer picture of the Minnesota’s fiscal outlook, the governor said, suggesting minor corrections could solve the projected deficit. House Speaker Kurt Daudt (R-Crown) called the numbers “overly pessimistic” and predicted the next forecast would show a more positive outlook on the state’s bottom line. Lawmakers are scheduled to convene the 2018 session Feb. 20. They must finish their work by May 21. The forecast notes that revenues for the biennium are projected to decrease by nearly $560 million compared to previous estimates. In addition, tax revenues are also projected to slow, with individual income tax collections forecast to be $461 million lower than the current biennium. Tuesday’s forecast also shows state spending was $398 million higher than anticipated when MMB produced its last projections in February. The latest report paints a far different picture than MMB presented this time last year, when the November 2016 forecast projected a $1.4 billion surplus. The February 2017 forecast followed by estimating the state would have a $1.65 billion surplus. Despite expressing disappointment at seeing a streak of surpluses end, Dayton on Tuesday advocated a wait-and-see approach. The governor said he continued to believe tax cuts passed by the Legislature — and that he signed into law — last May had been “excessive,” but he shied away from casting blame for the forecasted deficit. House and Senate DFL leaders, in contrast, were quick to point the finger at the Republican-controlled Legislature and the more than $600 million tax law passed in the spring. House Minority Leader Melissa Hortman (DFL-Brooklyn Park) told reporters it took Republican leaders less than a year to turn a projected surplus of more than $1 billion into a projected deficit. “Elections have consequences,” she said. Lawmakers in 2018 owe it to future elected officials to come up with a responsible solution, Senate Minority Leader Tom Bakk (DFL-Cook) said. “We have an obligation to the next legislature that comes in here, and the next governor, to hand them a balanced budget,” he said. House and Senate Republican leaders drew far more positive conclusions from the forecast. Daudt called the numbers “overcautious” and predicted that, if the assumption of Congress passing tax legislation had been included, MMB’s forecast would show a projected surplus. And rather than the Republican-supported tax cuts, Daudt pointed the finger at increased spending for tipping the budget forecast into the red. “We’ll look forward to the February forecast,” he said, where Republicans expect to see more growth reflected in the projected budget numbers. Senate Majority Leader Paul Gazelka (R-Nisswa) also deemed the forecast too pessimistic. He dubbed it “obsolete upon arrival,” saying the February numbers would look far different and that the state’s fiscal fundamentals remain strong.